“Content standards that define what students are expected to know and be able to do to enter and advance in college and/or their careers comprise the foundation of a program of study. Incorporate essential knowledge and skills (i.e., academic skills, communication, and problem-solving), which students must master regardless of their chosen career area or program of study. Idaho allows students to earn dual credit in academic and/or CTE dual-enrollment courses through Postsecondary Enrollment Options at their high school, postsecondary institution, online, or other venue. Public postsecondary institutions are not required to accept these credits (Education Commission of the States, 2015). 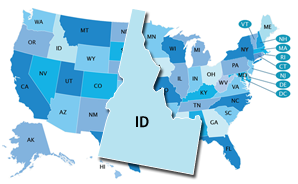 Idaho is not participating in the Early College High School Initiative (ECHSI). More information about schools participating in ECHSI is available at the website (Jobs for the Future, n.d.). Within these areas, Idaho implements programs of study aligned with all 16 Career Clusters (National Association of State Directors of Career Technical Education Consortium, n.d.). In 2006, Idaho mandated that all students in Grades 8–12 have a Student Learning Plan (U.S. Department of Labor, 2013). Student Learning Plans outline a course of study and activities that should include a rigorous academic core and a related sequence of electives in academic, professional-technical education, or humanities aligned with the student’s post-graduation goals. The learning plan is developed by students and parents or guardians with advice and recommendation from school personnel. Annual review is required, and revisions can be made at any time. (The Idaho School Counseling Model: A Framework For Comprehensive Programs, n.d). Idaho’s state-specific Early Warning System has an unknown tool name. The level at which Early Warning System data are reported and who can access the data is not publicly available.